The Cordillera central mountain range, dubbed ”the Cordilleras” or sometime refered to as ”The Highlands”, is the largest in the Philippines. 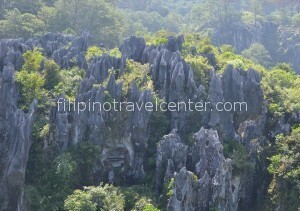 This mountainous area is located in North Luzon. On the Northeast it borders ”Cagayan Valley”, whereas the Southwest border is with the ”Ilocos Region”. It consists of 6 provinces plus one city : Apayao, Abra, Benguet, Ifugao, Kalinga, Mountain Province plus Baguio. Each province has its own, different ethnic tribes and their dialects. Nevertheless, all these indigenous groups are generally referred to as “Igorots”. The Bontoc Museum, included in all our Sagada Tours, hosts many of the traditional garments, tools used by the various ethnic tribes in the Mountain Province. Banaue is located about 450 km, 8-10 hour drive one way, North of Manila and forms the getaway to explore the rice terraces in the area. 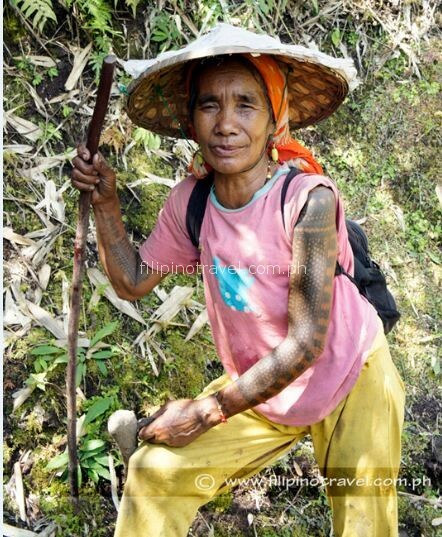 The Ifugao people living here are a fierce bunch. Tribal wars were common and headhunting expeditions between tribes were documented well into the 60’s. They are strong and particularly proud. Occasionally you may still see old women or man in traditional cloths at the local market, some of which displaying parts of beautiful tribal tattoos. At the Banaue viewpoint, which is included in our tours, some elderly tribals wear these traditional clothing for photo opportunities in exchange for an expected donation.Banaue is famous for its spectacular 2000 year old, completely hand built, rice terraces and one of the must-visit places in the Philippines. The whole area is covered with rice terraces you can explore, so it is just how much time you have. 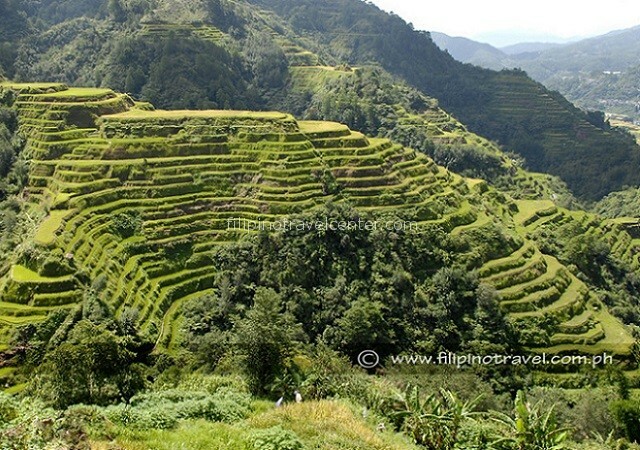 Batad and Bangaan rice terraces are the only 2 rice terraces declared as a world heritage site. 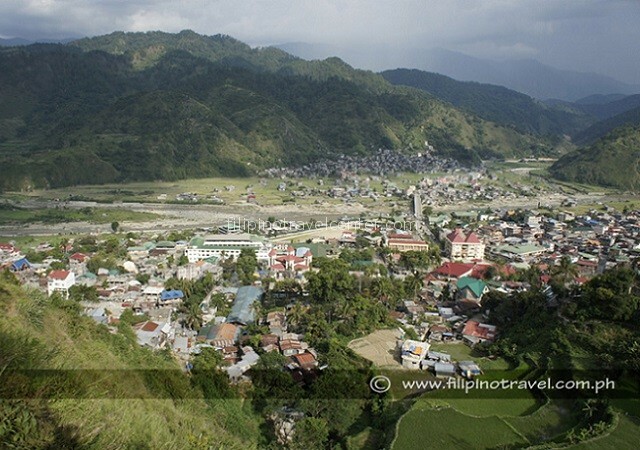 People with limited time can include Batad and its amphi-theatre like terraces in their itinerary. Moreover, Batad viewpoint is easy accessible by just a 30 min walk from the drop off point. Guests who are fit could extend the trip with 2-3 hours hike by visiting the Tippiyah waterfalls / Batad Village or take a 3 hour hike to Bangaan Village passing by numerous of local villages. Provided you have more time, consider visiting Hungdang for example which are less visited. Another customized Banaue tour in the North of Luzon we offer for our international customers around the globe, is a combination of Batad plus a visit to the panoramic Mayayao rice terraces with an overnight stay in Mayoyao. 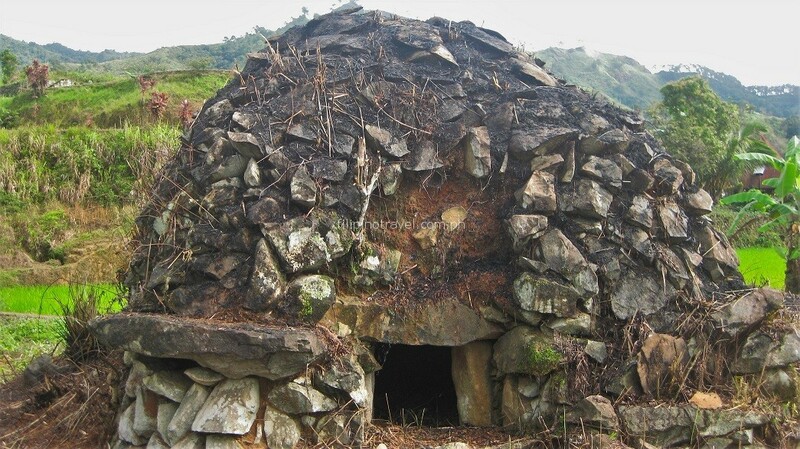 Mayoyao is famous for its unique, domed-shaped Burial Tombs (called ”Apfo”), only to be found in Mayoyao and used to house the bodies of the town’s ancient warriors and elite. 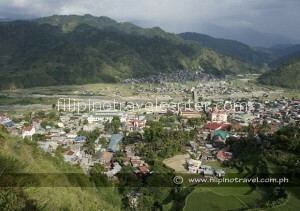 Bontoc is the largest city and the trading center of the Ifugao region. From either Bontoc or Sagada possible tailor-made extensions to our tours can be organized to remote Kalinga.A visit to the Bontoc museum is a must, so we made it part of all our tours going to Sagada. 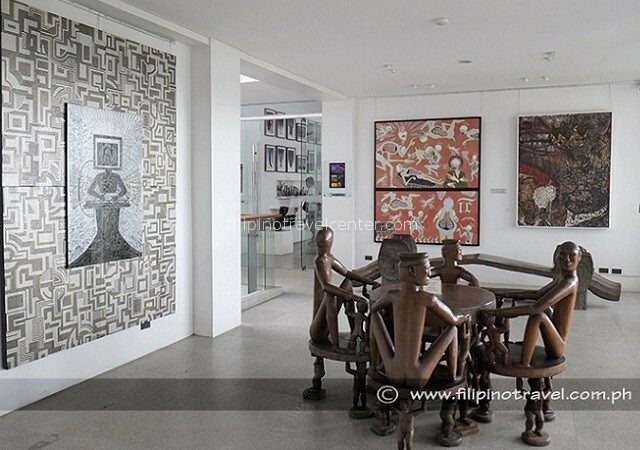 The charming Bontoc Museum offers a well organized exhibition of interesting photographs back from the headhunting days, jewelry, weapons and more. In Bontoc dog is still being served in some restaurants. Sagada is a prosperous town composed of mostly farming families and others associated with agriculture. 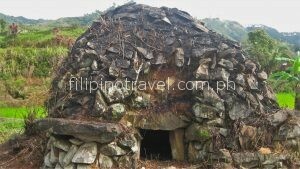 It is located a 2 hours drive from Banaue, a 30 minutes drive from Bontoc and a 5 hours drive from Baguio. English is very well spoken and the community is predominantly Episcopalian. Sagada has been able to maintain its character. There are no tricycles here, which is seemingly a blessing. Note though that during Philippine summer holidays it can be run over by the locals. No night life is available, nor in other places in the Sagada area and even a curfew time is in place. There are plenty of activities you can undertake : You can walk/trek, explore caving, visit waterfalls, visit Kiltepan for great views and of course see the burial caves and hanging coffins. 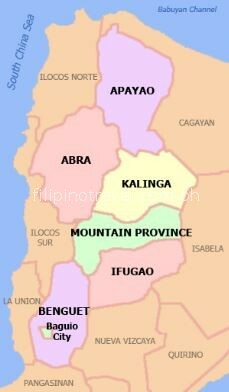 Kalinga, with its capital Tabuk, is occupying the central section of the Cordillera Administrative Region. The topography of Kalinga province is rugged and sloping, with mountain peaks ranging from 1,500 to 2,500 metres offering you many amazing photo opportunities. Kalinga is the most authentic area in the region, but hold own laws. The military and NPA are still operating in this area and travelling at night should be avoided at all times. If you are not familiar in the area, always bring a guide who can lead the way and who is familiar with the locals. Although considered by Filipino’s from other provinces as a not safe area, the people from Kalinga are very accommodating and you will not feel unsafe at all. Busculan is the most popular village in Kalinga among our guests to visit, and included in your private, customized mountains of the Philippines tour if you opt to include Kalinga as part of your journey. Finding this truly amazing, older woman that does many different tattoos forms one of the highlights of small town life. 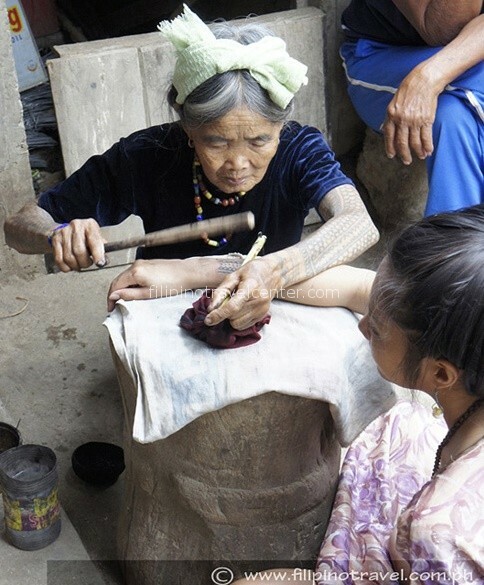 Be warned that the all manual technique she uses can be painful, but you will walk away with a truly unique souvenir from your visit to the remote Kalinga Mountains. Most of our client experienced Kalinga to be the highlight of our tailor made tours. Located 1540 meters above sea level in the Northern Luzon part of The Philippines, Baguio city was established in 1900 as a hillstation by the Americans. Our preferred accommodation, Camp John Hay, was establised by the Americans to house their officers and the former American governer lived in the Mansion. 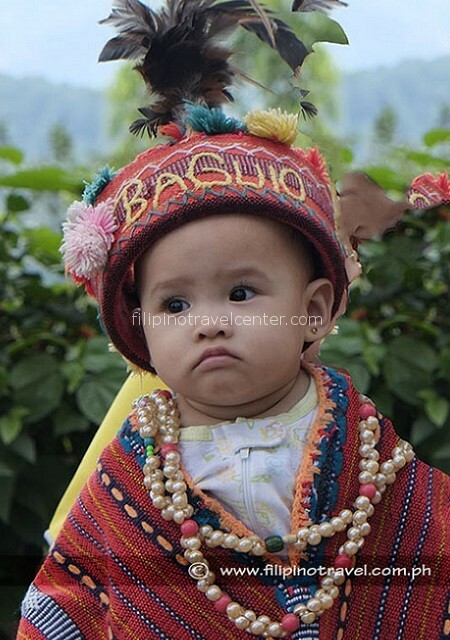 Due to its cooler climate many Filipino visit Baguio city as a favorable destination to escape the heat, hence its nickname ”Summer capital of the Philippines”. Meantime Baguio has become a highly urbanised, crowded city with a high influx of students and a real traffic problem. As there are limited interesting sights, combined with the bad traffic situation, we skipped Baguio for the majority of our Northern Luzon Tours. 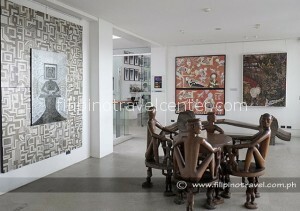 If you wish to include Baguio city, ‘Ben Cap Museum’ is in our 0pinion worth a visit. A good lunch can also be enjoyed here. Note that this museum is closed on Mondays. The ‘wood carving village’ is near and worth a visit too. Unfortunately the natural caves where the Kabayan mummies, listed on 1998 World Monuments Watch are being kept are closed. However, you can still see one or two mummies in the museum of Kabayan which is a 2 hour ride on a rough road from Baguio. For other options for sight seeing tours in Baguio, please visit our 5 Days 4 Nights Banaue Sagada Vigan Baguio Tour. Vigan was originally a settlement of traders coming from China. Vigan’s Chinese heritage is still evident from the numerous elite Chinese creole families who come from the area, many of whom adopted Hispanic family names. At the start of World War II Vigan was one of the first places in the Philippines invaded by Japan, and in 1945 by American ground troops whom aided by Ilocano resistance fighters, defeated the Japanese and liberated Vigan. Vigan can also be reached by flight (to/from Laoag which is a 2 hour ride away). Beside Vigan, a visit to Laoag is also part of our ‘’7 Days/6 Nights Round Northern Luzon Adventure Tour’’. 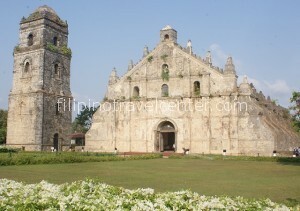 Laoag’s main sights of interest are the Marcos-era mansions, the Marcos Museum, the sand dunes and churches. 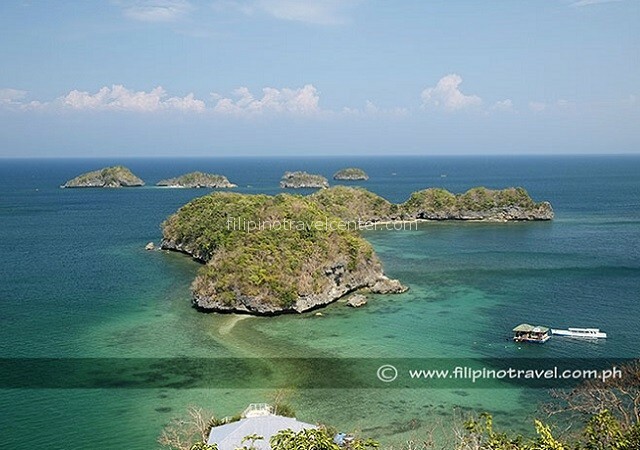 If you want to explore even more of Northern Luzon by car, you could opt to add Pagudpud. The beach of Pagudpud is considered the best of North Luzon. Since located far up North, however, it is not often visited by foreign tourists, but rather remains a destination for locals (especially during the summer holidays). Our recommend resort is a 30 minutes drive from Pagudpud in the area called Blue Lagoon. Unfortunately some ugly buildings and picknick area’s on the beach have recently sprung up, affecting negatively the “blue lagoon feeling”. Another stop which can be made underway from Vigan to Manila is San Juan. San Juan has a long and wide beach with grey sand. S urfing can be learned here, but the waves cannot be compared with Baler and especially Surigao in Mindanao. If you have time on your side, opt to hangout here for a day or two. 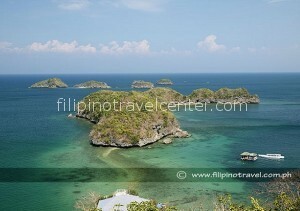 More common is to customize your Northern Philippines vacation with a visit to ‘’the Hundred Islands National Park’’. Needless to say that island hopping is the main activity. The islands are believed to be about two million years old. They are actually ancient corals. The lowering of the sea level have exposed them to the surface. The peculiar “mushroom-like” shapes of some of the islands were caused by the eroding action of the ocean waves. Barbeque on the beach is included in your tour. The snorkeling is quite good here and big clams can be spotted. Other possible extensions to your Northern Philippine Holiday underway from Vigan to Manila are: historic Bataan Peninsula, trek Mount Pinatubo volcano and/or Subic Bay. Another option to explore in North Luzon by car is Baler, which in recent years has become known as a seasonal, rather cool, surfing destination. 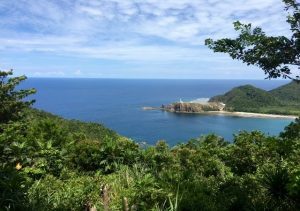 From Baler our experienced driver can drive you to Banaue or Tuguegarao, where the famous Callao caves are the premier attraction, beside rafting when the rainy season provides enough water to do so. 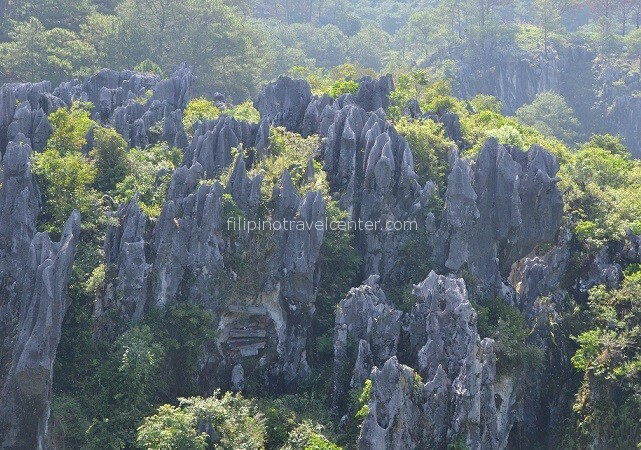 Being the most accessible of all the caves, its entrance is reached by climbing 184 concrete steps. The Callao cave system is composed of seven chambers, each with natural crevices above that let streams of light to get into the cave, serving as illumination. 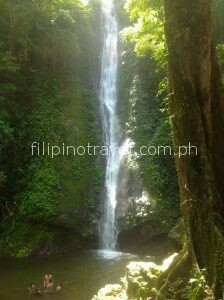 See our ”Tuguegarao Short Holiday”. If you like off-the-beaten-track, have time on your hand, do not mind to roughen the journey up and are prepared for the unexpected: From Tuguagarao one can drive, via Tabuk through the Kalinga area, all the way to Sagada. More of the beaten track options are to drive to Santiago, a 2 hour drive from Solano and 6 hours away from Baler. From Santiago you can reach the Mayayao rice terraces in 3 hours and same road goes all the way to Batad and Banaue, which takes another 2 hours.